State University of New York Press, 9780791406373, 254pp. This book brings important new dimensions to the interface between contemporary Western science and ancient Eastern wisdom. Here for the first time the concepts and insights of general systems theory are presented in tandem with those of the Buddha. Remarkable convergences appear between core Buddhist teachings and the systems view of reality, arising in our century from biology and extending into the social and cognitive sciences. 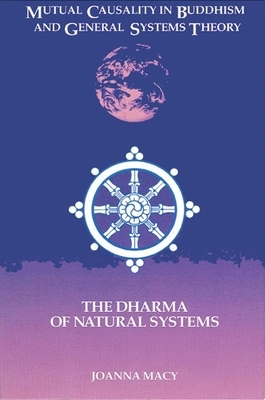 Giving a cogent introduction to both bodies of thought, and a fresh interpretation of the Buddha's core teaching of dependent co-arising, this book shows how their common perspective on causality can inform our lives. The interdependence of all beings provides the context for clarifying both the role of meditative practice and guidelines for effective action on behalf of the common good. Joanna R. Macy is Adjunct Professor at the California Institute of Integral Studies in San Francisco and Starr King School for the Ministry in Berkeley. She is the author of Despair and Personal Power in the Nuclear Age; Dharma and Development; Thinking Like a Mountain: Toward a Council of All Beings (with John Seed, Pat Fleming, and Arne Naess); and World as Lover, World as Self.